Ghostly Pudding Cups Dessert - Fun DIY with Kids! I always love this time of year. Halloween is the one time of the year when we get to have fun dressing up, making crafts, and turning food into scary things, and when the cobwebs in my house get to turn into holiday decorations. Each year, I try to do a little more. I’m not talking about tons of money in outdoor decorations, but simple ideas to put a smile on my kids’ faces. Kids will only be little once, and I definitely want them to remember the fun things mom would do for them. This afternoon, my kids and I wanted to make a fun Halloween treat together. I grabbed a few Snack Pack® pudding cups at the grocery store, a bag of marshmallows, and some whipped topping. We were going to make ghost pudding cups! I’m not the most creative person in the world, but even this mom could pull off a ghostly pudding treat. We like to use mix-ins for our pudding, and, since ghosts are white, we used a combination of whipped topping and marshmallows. 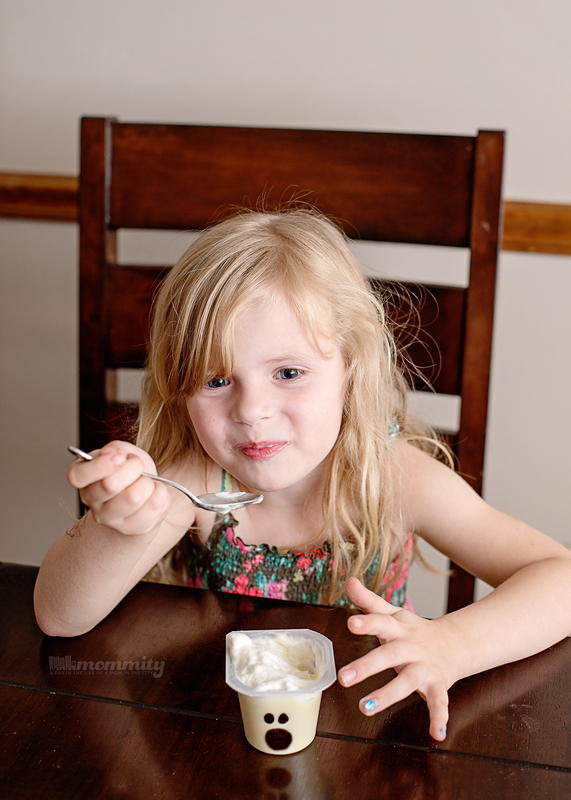 Have you had a Snack Pack® pudding cup with whipped topping before? This is the best thing ever! We do this often and mix in some graham crackers. You have to try it. So, grab your vanilla Snack Pack® pudding cups and draw a ghostly face on the side. Easy right? 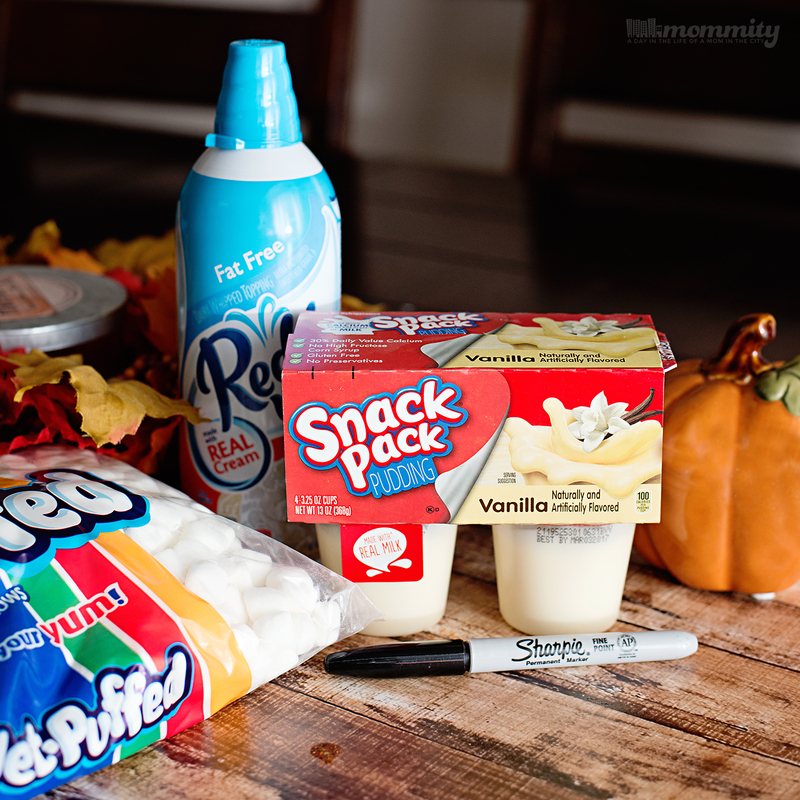 Peel back the lid, add a little whipped topping, and let your kids top the ghosts with some fluffy marshmallows. I love being the “cool mom,” and it doesn’t take an artist to do it. Just a few simple ingredients and the ability to draw a scary ghost face, and your kids can do the rest. 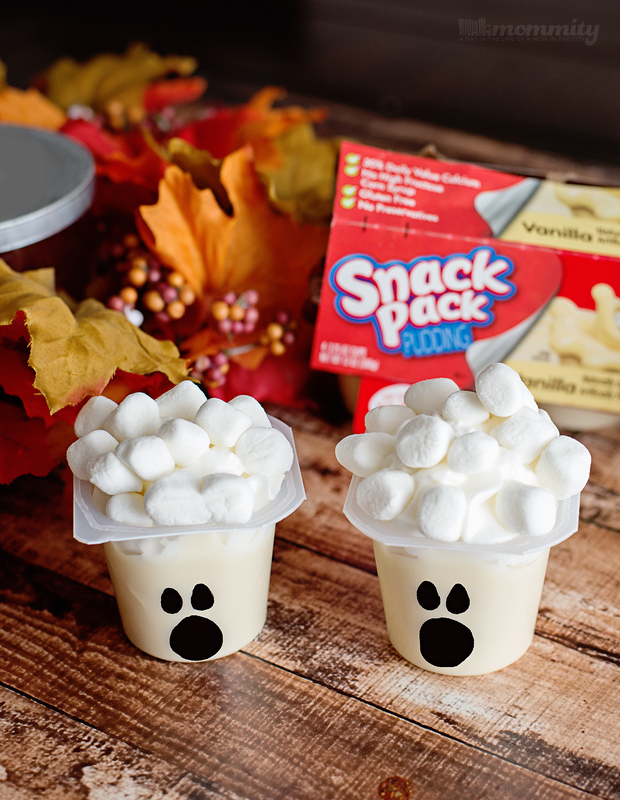 These ghost Snack Pack® pudding cups were such a fun way to celebrate the upcoming Halloween holiday! This Halloween season, take a moment to slow down and enjoy a tasty and fun treat with the kids. Snack Pack® comes in a variety of flavors and offers endless mix-in opportunities the kids can help prepare. Each serving of Snack Pack® is fortified with as much calcium as an 8-oz glass of milk,* so you can feel good about serving your kids Snack Pack®. For mix-in inspiration, visit Snack Pack® on Pinterest and Facebook.